Bloodbornetraining.com™ makes it quick and super-simple for workers to get their OSHA Bloodborne Pathogens Certificate and employers to train their workers with simple-to-use, standards-compliant Bloodborne Pathogens Training Solutions. BloodborneTraining.com™ is an industry leading training provider offering OSHA Compliant Online Bloodborne Pathogens training solutions to workers who need their certificate and companies who need to train their workers. 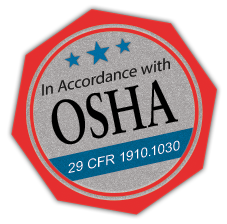 Our modern, 100% Online Training programs make getting compliant with OSHA’s training requirements simple and quick. 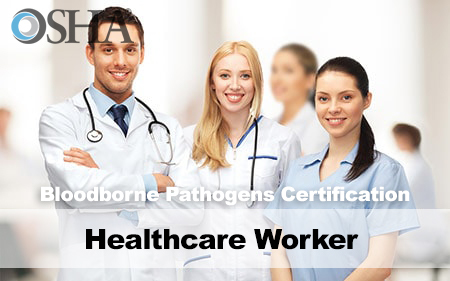 Get Bloodborne Pathogens Certified Now! Sign Up Now for free to take the OSHA Standards-Compliant Bloodborne Pathogens online training program. Once you complete the 60-minute training course, you’ll be given the option to purchase your official Bloodborne Pathogens Training certificate that can be viewed and printed immediately. 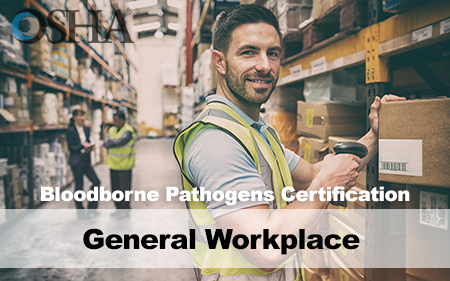 A dynamic, 45-Minute OSHA-Compliant Bloodborne Pathogens Training Course for general workplaces. A dynamic, 60-Minute OSHA-Compliant Bloodborne Pathogens Training Course for Healthcare Workers. 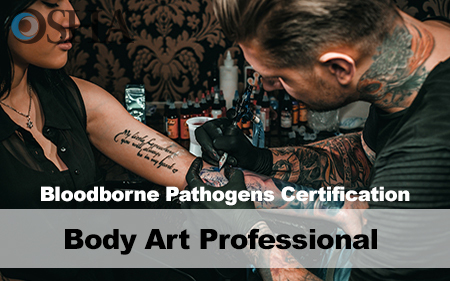 A dynamic, 90-Minute OSHA-Compliant Bloodborne Pathogens Training Course for body artists. Need Training for Your Workers? Our Bloodborne Pathogens training solutions allow you to quickly and effectively provide training to your workers, contractors, and groups using your preferred training method. We make it easy for employers to deliver high-quality Bloodborne Pathogens training to their workforce using affordable, time-saving training options. Need a simple and fast way to train groups of workers? Save time and money with our Bloodborne Pathogens online training solutions. Have your own LMS? Our Bloodborne Pathogens Course licensing option lets you deploy high-quality training to your workers through your internal LMS.